*Note that each way to purchase gives you all the same LivelyLatin resources; they just differ in the way you access them. 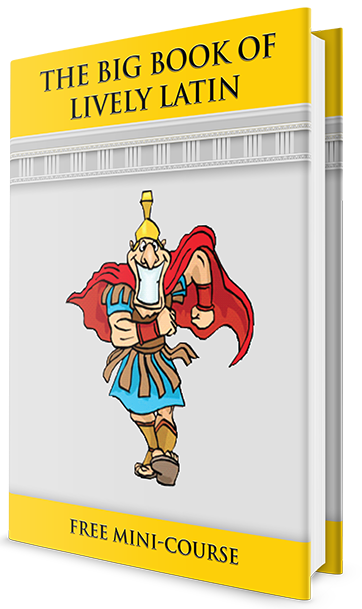 Sixteen BIG lessons of lively Latin language instruction, English derivatives, Roman history, puzzles, games, activities, and more. All in PDF ready for you to download and print, lesson by lesson, as you need. BB1 is 427 pages; BB2 is 694 pages. Also included are unlimited, non-transferrable rights to print copies of the BigBook for use in your own immediate family (great for siblings!). 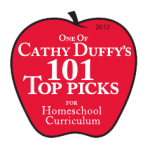 One CD contains the BigBook in PDF form that you print out lesson by lesson, the answer key which you can print or just consult, notebook dividers and cover to print, MyHistory of Rome pages, chant sheets, book completion certificate, glossary. The second CD contains the mp3 audio files for each set of vocabulary, in both Ecclesiastical and Classical pronunciation. You can play these offline on your computer or in a CD player that is mp3 compatible. You can also download the mp3 files to an iPod or other mp3 player. In addition, you also receive full access to the online BigBook classroom as described in the Online Access option above. Unlimited, non-transferrable rights to print copies of the BigBook for use in your own immediate family come with the CD sets as well. BigBook 1 or 2 printed on high quality paper, in full color ink (for luminous art study reproduction), shrink-wrapped, 5 dividers, all in a 3-ring binder. 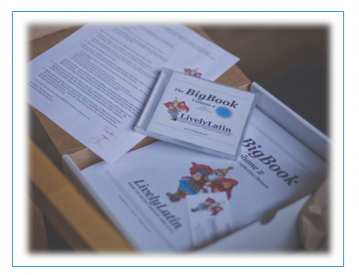 These are the student versions of the BigBooks, along with the printed glossary, chant sheets, and book completion certificate. BB1 is 427 pages; BB2 is 694 pages. 2 CD BigBook set, containing the PDF pages listed in the CD set option above and Classical and Ecclesiastical pronunciation files. You may use these CDs to consult the answer key and reprint any pages you wish. 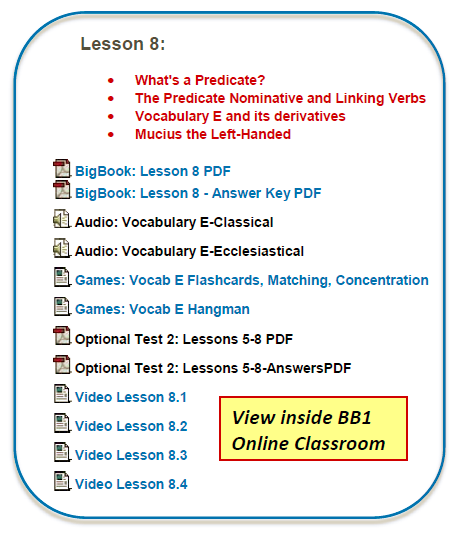 Full access to the online BigBook classroom as described in the Online Access option above. Unlimited, non-transferrable rights to print copies of the BigBook for use in your own immediate family are included as well.